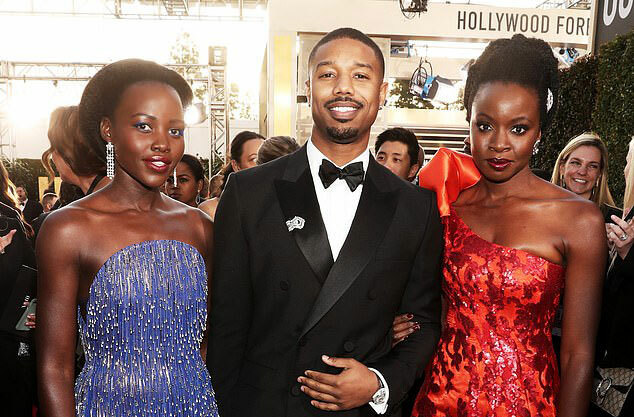 The Black Panther cast represented in style at the Golden Globes on January 6th with Michael B. Jordan, Lupita Nyong’o and Danai Gurira on the red carpet. 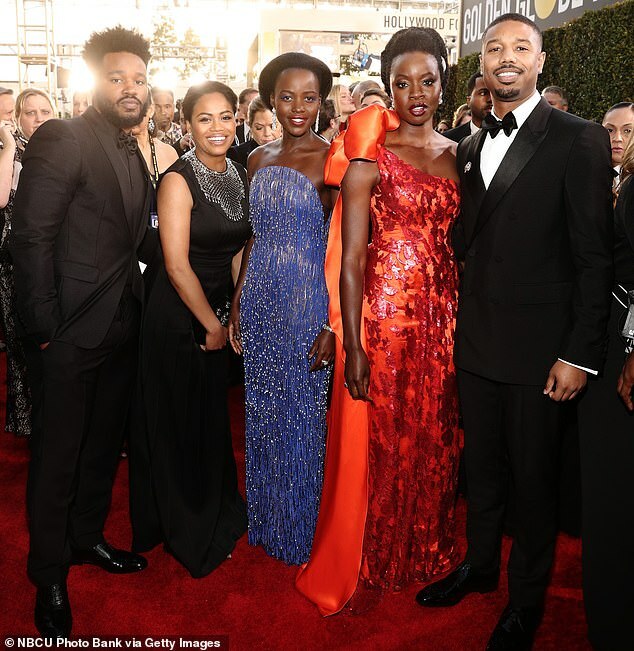 31-year-old Michael B. Jordan portrayed villain Erik Killmonger in the Marvel Studios superhero film that was nominated for Best Motion Picture – Drama at the 76th Golden Globe Awards held at the Beverly Hilton Hotel in Beverly Hills, California. 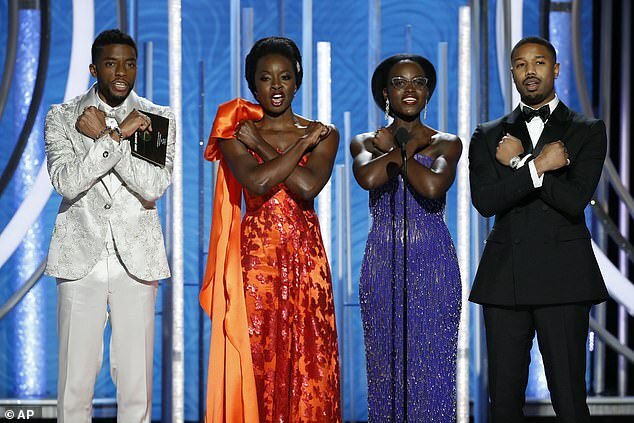 The superhero film by director Ryan Coogler, 32, was released in February 2018 and has earned about $1.35 billion worldwide. Black Panther follows T’Challa who becomes king of the fictional African nation of Wakanda after his father’s death and faces a formidable challenge to his sovereignty. Black Panther was based on the Marvel Comics character co-created by the late Stan Lee and Jack Kirby that first debuted in July 1966. Black Panther also had nominations for Best Original Song for All The Stars by Kendrick Lamar & SZA with added vocals by Sjava and Best Original Score by Ludwig Göransson.